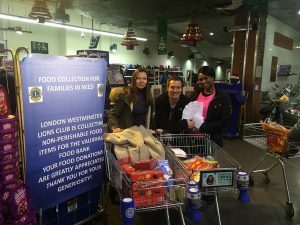 US Global Tax helped Lions Club of Westminster to collect food for Vauxhall food bank. We managed to collect 429.62kg (enough food to make approximately 645 meals). Also, we managed to get 297 GBP for the Homeless dinner, the money came from donations in cash and from Sainsbury’s itself.